Trains are colossal, so whenever they collide or derail, that could cause a devastating problem and painful moments for people that are inside. A crashing of trains is impossible to stop an incredible moment that could affect people who watch that happening. 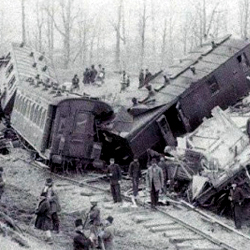 Even though the train is considered as one of the most secure ways of transportation, throughout the history, some examples brought entire trains and hundreds of fatalities in one blow. During the First World War, one accident happened that moved people’s minds from the casualties from war to this great tragedy. A passenger train suffered brake failure and started descending close to Ciurea Station. The train carried lots of wounded soldiers and refugees that wanted to flee from German advance. The engineers wanted to slow down the train and to operate it through sanding equipment, but still, the train only gathered speed. 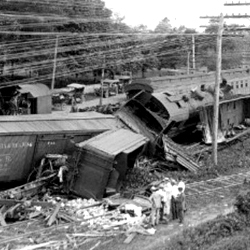 The runaway train entered the loop, and because of high speed it got derailed and finally caught fire. That caused the death of 600 – 1000 causalities. This is another problem that happened during the First World War. Thousand French soldiers wanted to return home because of Christmas. The main problem in those times was nationwide shortages in locomotives and equipment, and that resulted in two trains that got coupled together and pulled only by one engine. While they descended through the French side of Alps, the driver wanted to apply brakes, but the train didn’t listen and started gathering speed. 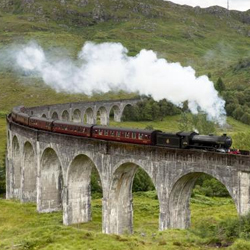 According to research, brakes were overheated, and a fire broke out under the carriages. After a few miles the first carriage went out the rails, and the rest of them slammed right into it and caught fire within seconds. Because of intense fire, there were a thousand causalities. 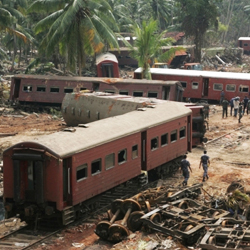 The sea-floor earthquake struck Sumatra in 2004 and produced a tsunami that killed 300 thousand people. On that day, the Queen of the Sea contained 1500 passengers. When the first wave struck, the train was 217 yards from the shore. The water stopped it immediately, and passengers and residents thought that train would be safer they climbed on top and hid behind. The main problem was that second wave was more significant and rolled carriages and crushed the train like it was a toy. Only a few passengers survived.